We're Very Glad You've Visited Our Website Today! You Are Warmly Invited To Be Our Guest At Church Worship Services Anytime! 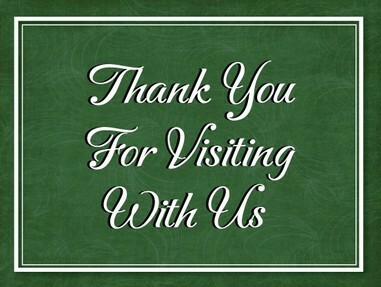 Thank you for visiting our website, once again we're very glad you're here. As a church, we are committed to Jesus Christ our Lord and Savior. We base our teaching on God's revealed word, the Holy Bible, which is the Absolute Truth of God. No Awana Kids Club -------------- This Coming Wednesday Night April 24th. Be Our Guests For Sunday Worship or Any Event, You're Always Welcome! We Would Love To Meet You & Your Precious Family! Church Phone 704-982-0223 Please leave a message. Visit often to learn how God is working in our church and community. As you do, we pray God will reveal your next steps in growing closer to Him. preaches Jesus Christ is God – Crucified, Buried, Resurrected, and Coming Again Very Soon! with the people in this area and around the world by supporting several missionaries. much more still in store for His church. that our church family is real and because God Himself is here. God's Son Jesus Christ, God's Word, God's people and a loving church family. Life as a believer here on earth does not get any sweeter than that! Amen? We are grateful for the wonderful opportunities God has provided us to serve Him, including this website and the internet. If you do not have a church home, we cordially invite you and your family to join us for Worship. We look forward to meeting you and your precious family. Blessings To You In Christ, from West Stanly Baptist Church Family. or give or what we do compared to what others do. It is measured by what we do with the talents and abilities that GOD has given to us. May the Lord use you today to do His work in the lives that surround you. May today be all you need it to be for His glory. rule in your dreams tonight, and conquer all your fears. May God manifest Himself today in ways you have never experienced before. May your joys be fulfilled, your dreams be sweet, and your prayers be answered. We pray that your territory is enlarged. Guide me lord, you are my heart you are my strength, you are my hope. Teach me Lord, and guide my way that I might love You more with every passing day. Use my life as a witness for You to all who are lost in sin. Help me to stand strong on Your Word. May You be glorified through my life.
" I Would Like To Hear From You! " "I could use a little encouragement that you're checking & enjoying our website..."